We’re excited to announce a new way for you to connect with us! 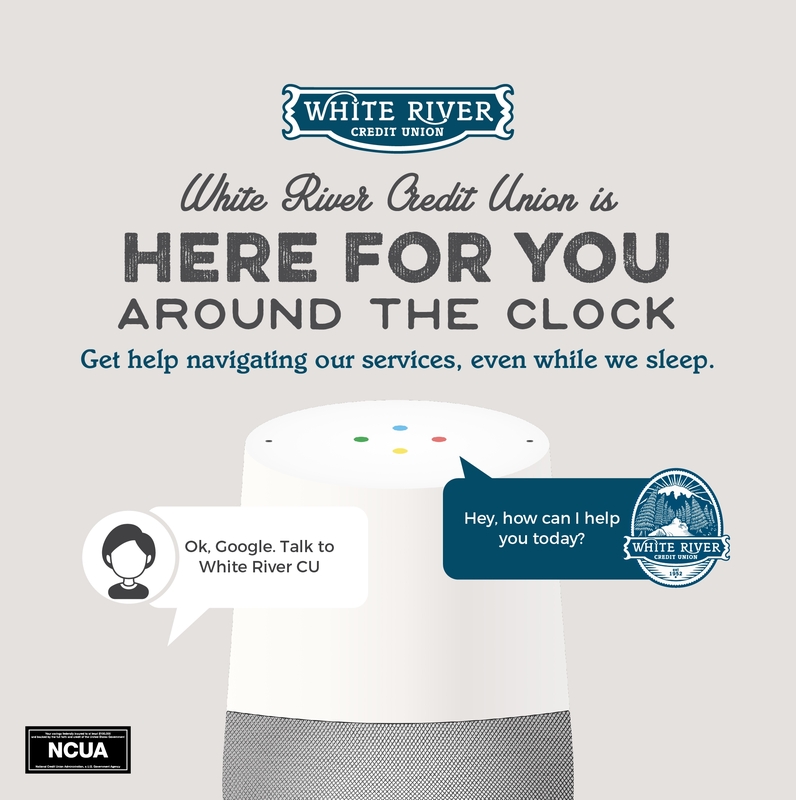 We’ve launched the White River Credit Union virtual assistant on Facebook Messenger, Google Home, and Amazon Alexa, and we want to make sure you can get immediate answers to your questions about WRCU and our services. What is the virtual assistant? It’s a chatbot, computer software that understands simple questions and can provide you with the answers you need. The more questions it gets asked, the more it learns, and the better it will get at helping you out! It’s safe and secure to use, and you can send written messages through the Facebook messenger app, or talk to it on Amazon Alexa or Google Home. What’s the phone number for White River Credit Union? How do I apply for a new account? For now, the virtual assistant doesn’t ask you to log in – so it doesn’t have access to any of your personal financial information, and it won’t provide answers to questions about your WRCU financial accounts. Our HomeTeller and MoneyDesktop are still the best way to manage your accounts! Go to your Facebook page online and click “Message” on the White River Credit Union page, or search for “White River” in the Messenger app, then start a conversation! Just say “Ok Google, talk to White River” and then you can get started asking questions! Using the Alexa app on your phone, search for the skill “White River” and add it. Once it’s added to the app, you will be able to say, “Alexa, open White River” to start a conversation.